Hello Sweeties 💕 How are you today? 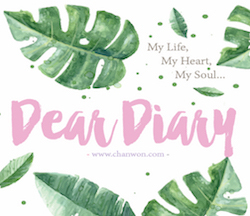 I'm feeling super excited because here's another blog post for you guys. If you watched my stories you probably know about this brand and if you haven try this then please stay tuned because I'm going to giveaway 5x set of this complete hair range for you guys. This could be your Valentine's gift from me. So back to the topic, it's a collaboration post with NUNATURE because they are the one who agreed and sponsor the gift for you guys and I'm so happy to host another giveaway for this coming Valentine's Day. Actually I'm having this as the Valentine's gift for Smelly. It's nice, natural and most importantly, it's a very practical gift ideas for everyone. 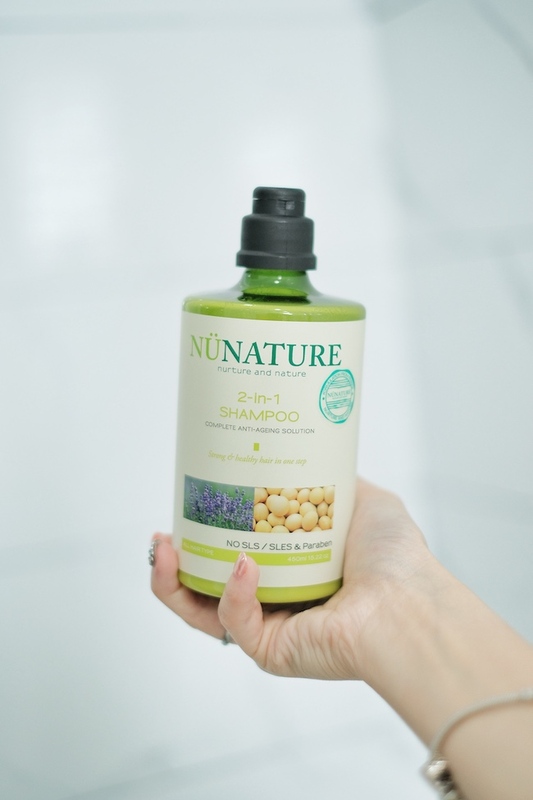 Since I received quite a number of request asking what is the best shampoo that suit everyone's needs, I guess this could be a good update for people who looking for affordable , nice and reasonable haircare product. As you guys know, most of the haircare range in the market or drugstore is either smoothen you hair making it manageable or specially for damage / color hair. Or mostly it's made with SLS & Parabens. 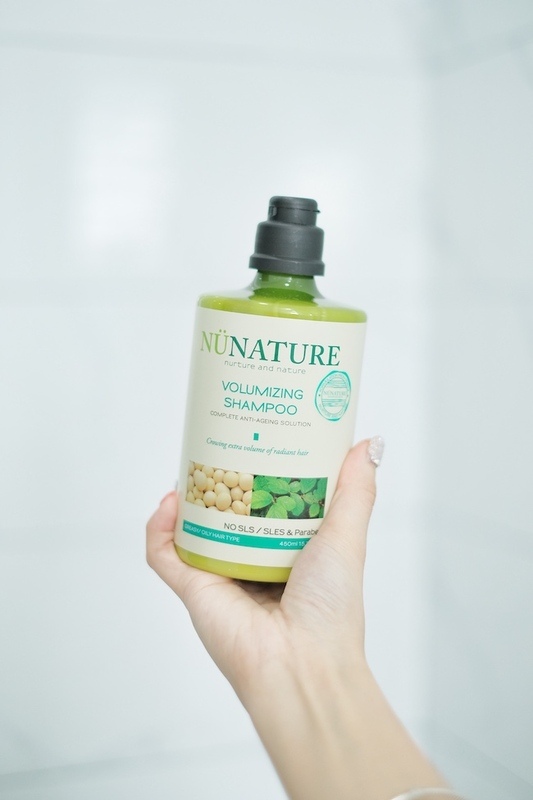 How about a nature haircare product that is made for all of us included specially made to take care of our scalp, volumizing our hair or even anti-hair fall + it's natural and FREE from SLS/SLES & Parabens? Is that possible? It sounds expensive and what if with a deeper care with a complete anti-ageing solution on your haircare products? Let me tell you what, it's POSSIBLE and only cost less than RM38 for each shampoo!! I rarely review about haircare products but this one I'm very confident that you gonna love it. My whole family currently using this shampoo and I myself falling in love with it too. I only share things that I personally love and really good to my followers. At first I'm really confuse about the range but I actually did a hair/scalp test with the team and realise my scalp is very dry. I mostly use only haircare product that can smoothen my hair but I slowly experience hair fall and sometime dandruff problem. So some of you might curious like why my hair getting thinner and start to age? I guess that's because the process of scalp ageing. Our scalps can be like our body skin, it can get older and turn into thinner and losing much of its elasticity. So if you never take care your scalp, you will become like this and also your sagging and wrinkles skin lol. 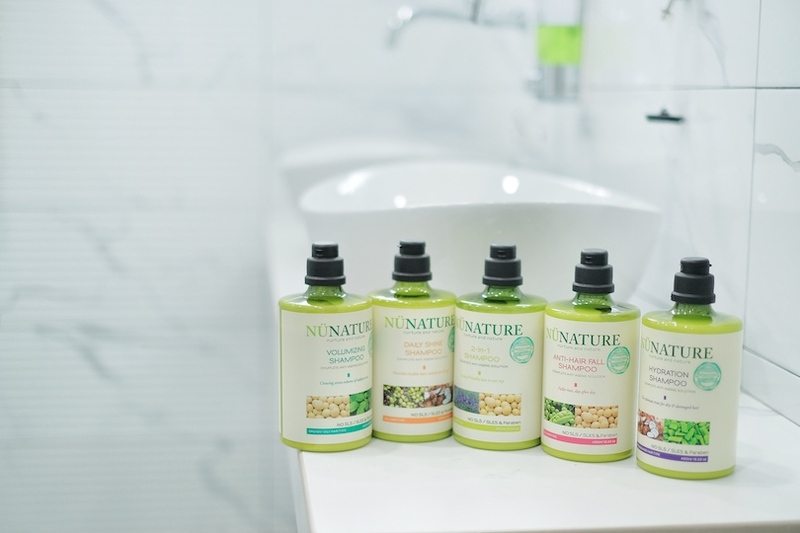 A complete anti-ageing haircare: The whole Nunature haircare range is a complete anti-ageing haircare product. All thank to [Kino Tree], an ingredient which delays the ageing of scalp and thus slows down related hair loss. So no matter it's scalp shampoo or hydration shampoo, it's all included this as a main ingredient and so it's really unique compare with others brand. Safe , gentle and no side effect: Because it's FREE from SLS/SLES, Parabens and Colorants. Natural Ingredients: All the products contained average of natural ingredients which is extremely mild. Another highlight will be the live chat enquiries feature. 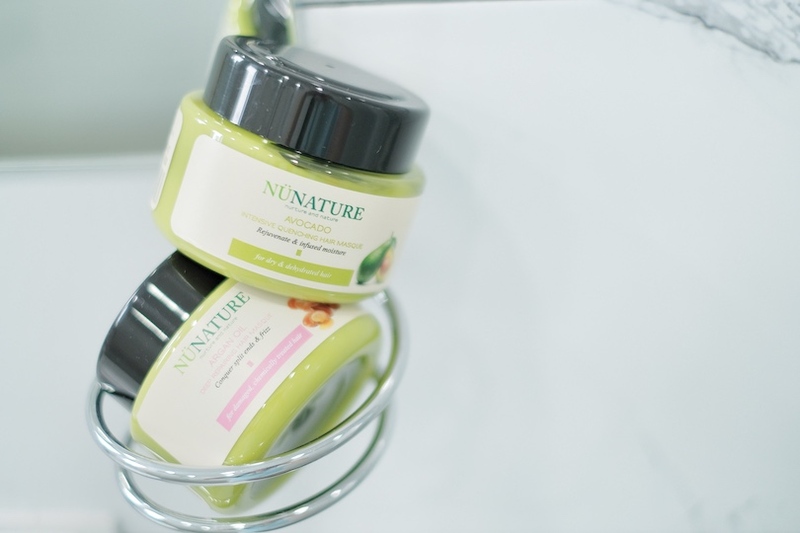 If you really not sure about anything, you may WhatsApp your queries to Nunature Live Chat at 019-262 8189 for a free consultation (no purchase required) and find out which pairing works best for your hair/scalp type or concern. Since Valentine's Day is just around the corner, I prepare a complete set of Nunature product for Smelly and also his family because they just moved to their new place. I guess it's one of the best way to show them how much I care about their health and even hair lol. So do you know how to choose the right shampoo that suit your scalp type? 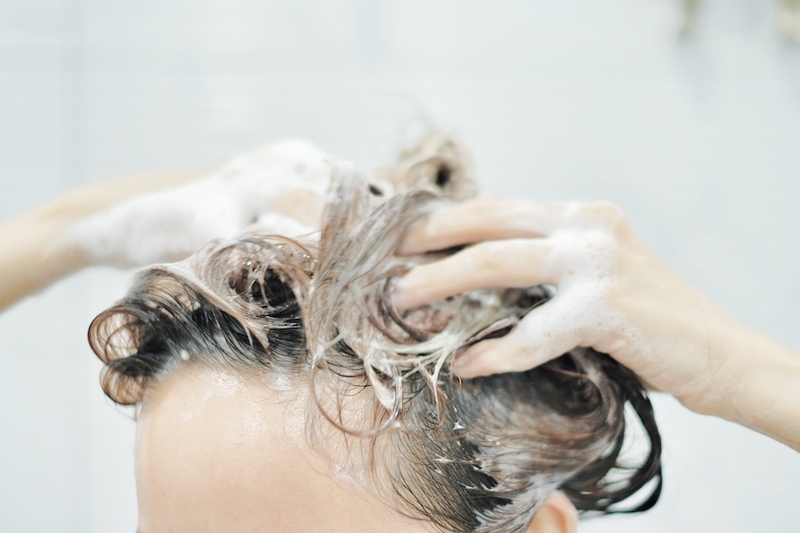 Scalp is like the soil for our hair and most of the time we choose the shampoo based on our hair but it's more important to consider your scalp too when choosing a right shampoo. Our scalp can be either flaky scalp , dry or oily or maybe just like me? In between on both? Or maybe sometime our scalp tend to be too dry due to all the chemical treatment we did. That's why it's important to check and know both of your scalp & hair type. 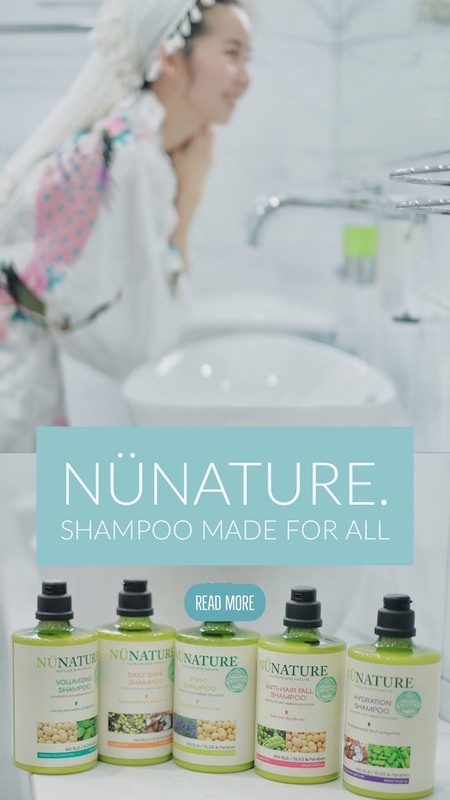 Since everyone of us have a vast variety of scalps and hair, NUNATURE now came out with a vast number of shampoo choices to choose form. For each of our hair type, there will be a specific shampoo made for it. There are a total of 7 shampoo but I gave two of it to my bro and mom. So I left 5 of these ahahahah! Other than shampoo, there are two diff type of conditioner and hair mask too. For the hair conditioner, it includes the hydration conditioner and daily shine conditioner while for the hair mask, it's the avocado hair mask & argan oil hair mask. So for now I using hydration and anti hair fall shampoo. My mom has really sensitive scalp. Her scalp always itchy and redness around the pores. So it's best if she could use the scalp instead of others. 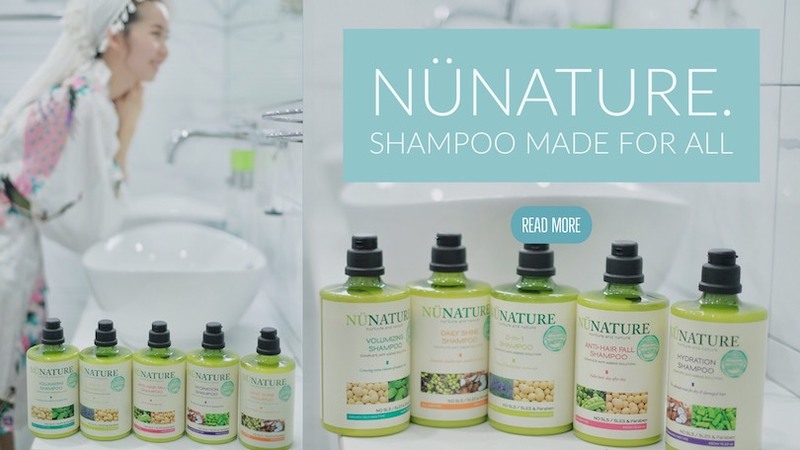 I rarely see there is shampoo to treat scalp problem and also free from SLS /SLES & Parabens. So I'm so happy that my mom love it while my bro using the anti-dandruff one! I'm using the hydration and hair fall shampoo because I experience both problems recently. Really need to reduce my hair thinning and balding problem. Some after birth mom experience hair-fall problem too. So I guess that could be one of the alternative for you. My hair is super duper dry recently so instead of using the conditioner after the shampoo, I use hair mask instead. But after I did my hair treatment, I guess I could use back the conditioner. Smooth even I rinsed off the shampoo and just a little amount, it generate a thicker & more concentrate foam than other shampoo. Some of you already bought the product from Watsons and I get the latest update which all the products are having 15% now! AHAHAH You guys always so efficient lol. So if you not sure which to choose from, here's a ultimate guide for you. Also, if you want to try the product first, you can actually get their travel-size set which came in such a cute size and allows you to give it a try first before buying the full size products. 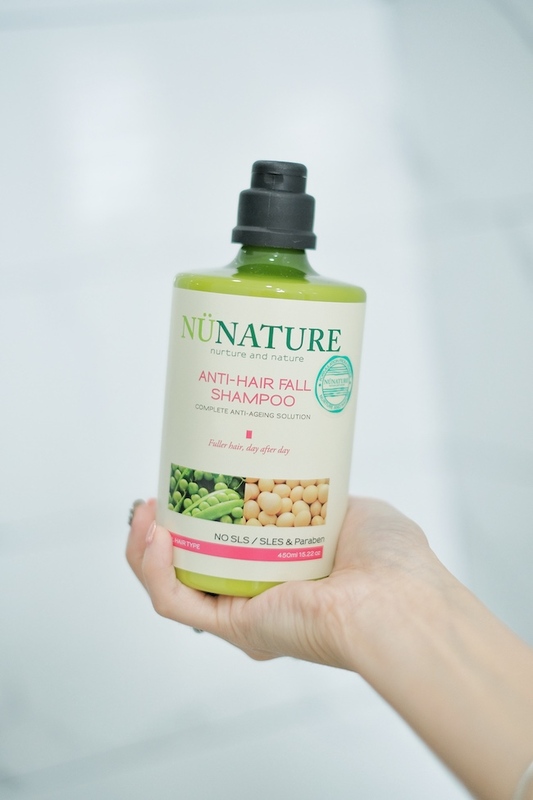 Anti-Hair Fall Shampoo: This helps to boost hair and scalp health by activating the stem cells and help to promote cell generation + stimulate regrowth. Last but not least, improves our hair texture to reduce our hair fall problem. 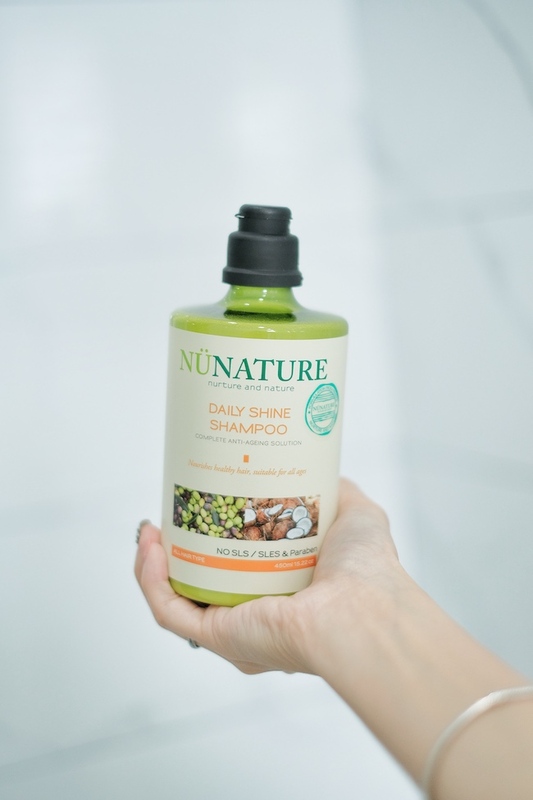 Daily Shine Shampoo: The ultra-mild formula which suitable everyone in the family & children and suitable for normal hair (not too dry or too oily), even leaving our hair healthy , manageable and reduce hair fall too. Anti-Dandruff Shampoo: No more itchy and flaking scalp. It helps to balance sebum production while improving hair and scalp help by activating the stem cells. Hydration Shampoo: Suitable for dry and damage hair. It provides essential scalp nourishment and strengthen our scalp. Very gentle for daily use and the best solution to treat your dehydrated hair & scalp. Volumizing Shampoo: This is the one I give to Smelly. Because his scalp is quite oily + greasy and get really smelly in just a day lol. It's a life saviour for oily scalp and hair. It control excess oil production and promote hair growth + reduce hair fall too. Scalp Treatment Shampoo: I get this for my mom because she always experience itchy and redness on the scalp. Her scalp is super duper sensitive and I'm really eye on this for such a long time. It suitable for all hair type but specially made for people who have sensitive scalp concern. It gently soothe and calm your stress / sensitive scalp and helps to reduce itchiness / inflamed scalp. For sensitive scalp, it's good to use product that are made with natural ingredients + free from all SLS SLES & Parabens. 2-IN-1 Shampoo: Lastly, the life savour for lazy people / on the go people. It's a 2 in 1 formula cleanses and conditions our hair in just ONE step. Suitable for normal hair and scalp type. Smelly's gift! HAHAHAHA I got him a shampoo and a body shower cream. 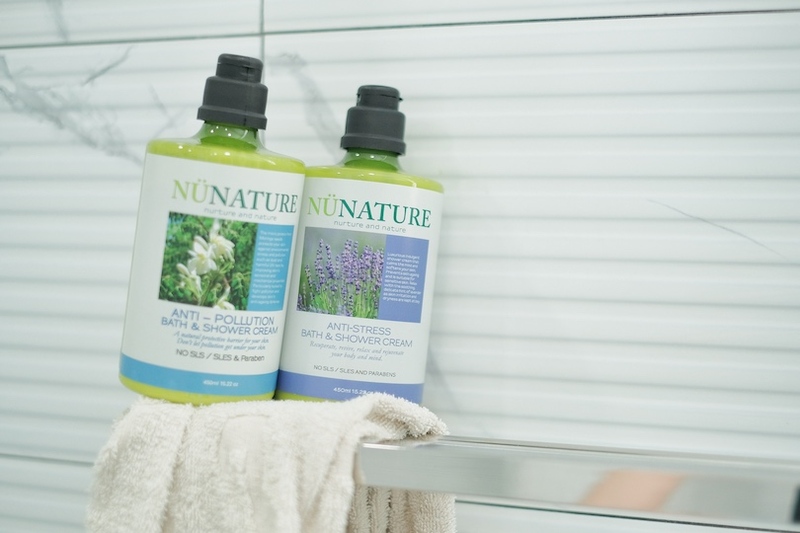 Nunature got one Anti-Acne bath and shower cream that suitable for acne-prone body skin. If you experience any acne problem on your body skin, you could try that out because it's anti bacterial, anti inflammatory and anti microbial properties for a clear and smoother skin. There are 3 type of Bath & shower cream. The anti-pollution , anti-stress and lastly, anti-acne one. So now, you know how to choose for the right shampoo that suit for your scalp and hair? 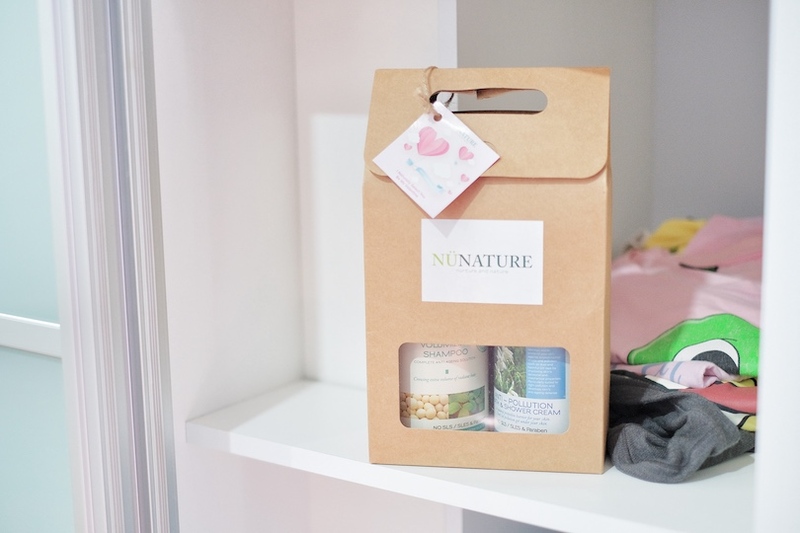 Also, in collaborate with NUNATURE, I'm giving away a total of 5 set worth RM138 each product. 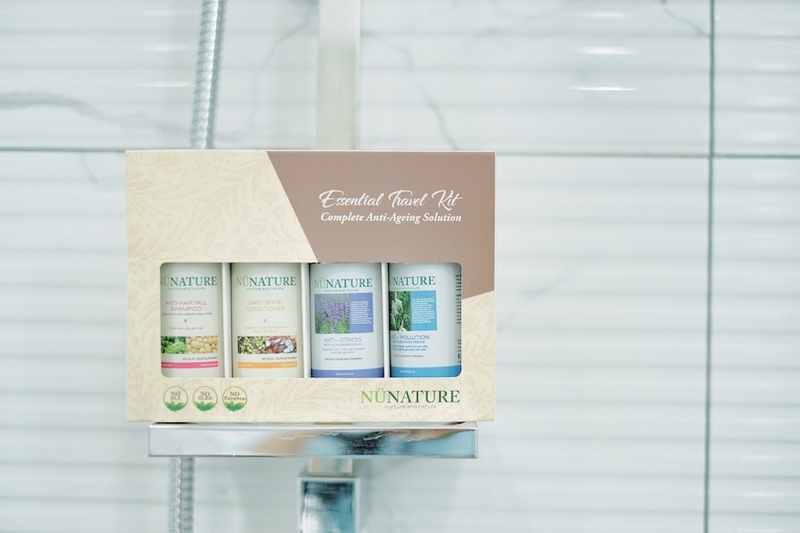 Each set consist of Shampoo, conditioner, hair masque and bath & shower cream for your daily essential. Just leave a comment on my instagram post or comment below on this blog post! Tell me WHY YOU NEED THIS!! Good luck! 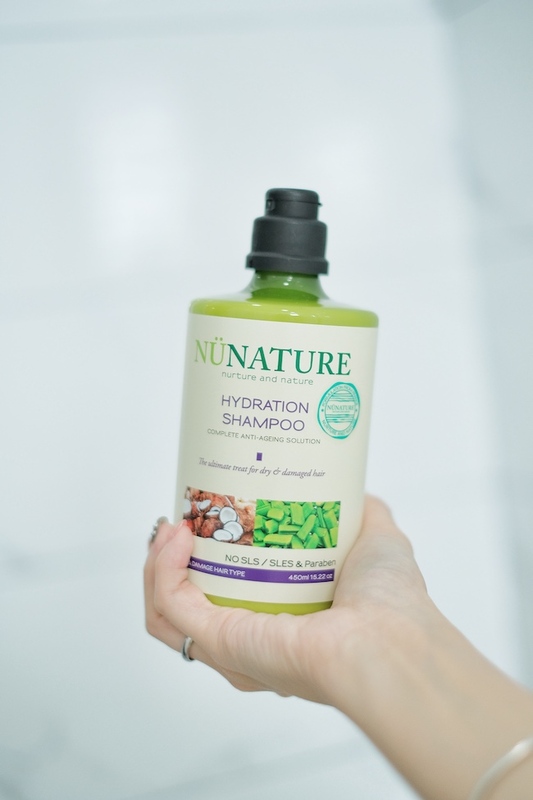 Heard nunature shampoos are for everyone because it work well with different hair type. I need this set because my hair is so damage and recently have hair fall and dandruff problem. I've been trying different kind of shampoo but hair condition still the same. Hope that this set really help with my hair and also my dry skin problem. u love it so much confirm very nice one so I really wanna try!!! Hi Chan Won, you have been so generous on the giveaways but guess this is my first time joining 😅 seeing sooooo many people joining your giveaway, you must be having a hard time to choose the winner for all the time. Hopefully all these won’t give you headache. 💙 Haha. I am so interested in these products, living and working in a big city can take a toll on my hair and body. Hi chanwon, thanks for hosting another giveaway hehehe. I’m really interested in this shampoo as I started to realize the benefits of shampoo that is free from silicon and paraben. As my scalp gets oily very easily and sometimes got dandruff 😭😭 Plus this is so cheap because the one I’m using currently is too expensive for me to repurcharse lol so I’m really interested to try this product! Even tho I couldn’t win the giveaway I will also purchase and try!! I’ve been searching a haircare product without containing SLS & Paraben and also treat my oily scalp and hair fall problem at the same time with a reasonable price. My mum has the same issue as mine so I wish to win this for her as Valentine’s gift from me and you Chanwon. My mum and I have been trying on many products for the past few years but we still don’t find them suit us. Sometimes I even use dry shampoo to control my oily scalp which I feel it’s not good for my scalp. I really want the most suitable product for my hair as I really concern about it. 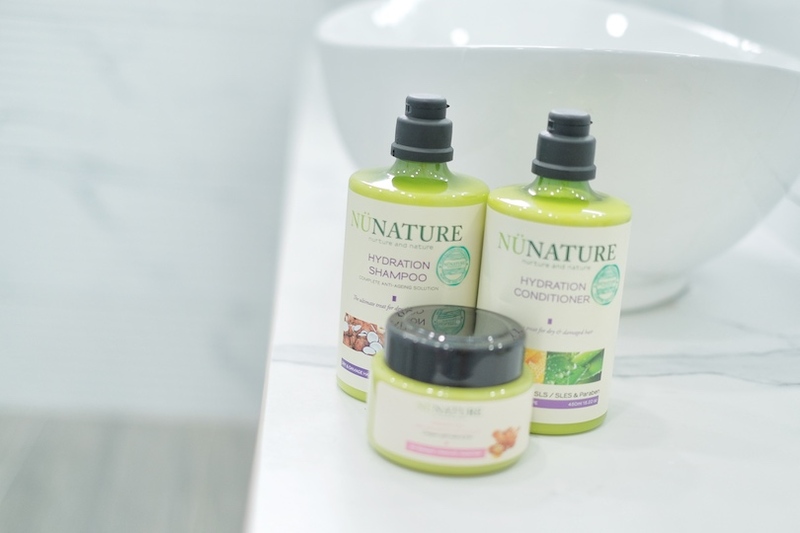 Now that you introduce and recommend us using @nunature_malaysia haircare products I think I should give it a try as you posted on your insta story before and I believe you only share good things/ products with your followers. I will share their products to my other family members if they work well on me. Hi chanwon, thank you for hosting giveaway event again! Decided to give it a try because i really need a good hair products now😭. I had been surveying for good shampoo recently but still could not come out with a conclusion. So, after reading this post i wish to try the hydration shampoo because i really have super dry, frizzy and damaged hair. I think the price is reasonable and will consider buying this products because i believe you will only share good products to your followers! 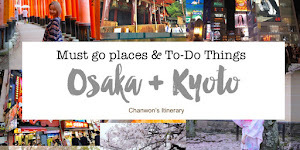 Hi Chanwon <3 I have been following you for a long time and this is my first time to join your giveaway session as I feel that I'm in desperate need of this set of product! I hope i would get this product to cure my oily hair scalp and hair fall problems. I have been suffering from this problem for a long period of time but I still couldn't find a suitable and affordable product for myself. Those fancy products recommended by saloon are too pricey. Hence, I hope I get to try this set of product as there are different type of shampoos that could tackle on different type of hair problems.Besides, the price is so reasonable that I can afford to buy it and continue using it after I finish the product. Most importantly, I could share this amazing product with my family members and my friends if i manage to win this product!